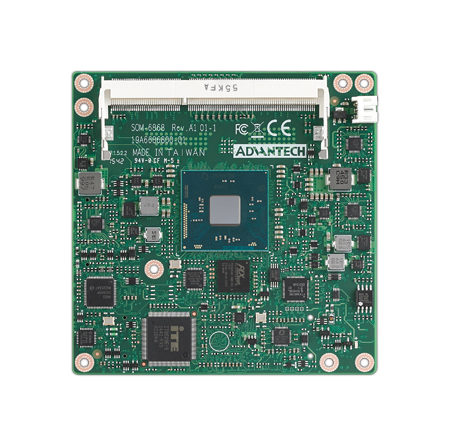 The AQ7-IMX6 adopts the Freescale® i.MX6 Dual lite/Quad ARM Cortex A9 Processor. 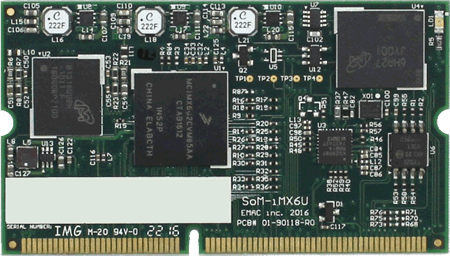 It accommodates 1GB of DDR3 memory on the module. 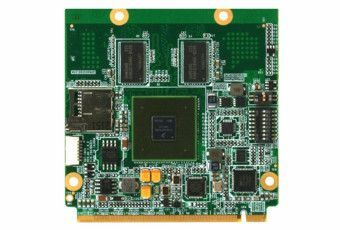 This compact module features an 24-bit dual channel LVDS interface for connecting popular LCD display panels. I/O demands are well met by the five USB 2.0 ports, one SATA ports, one PCI-Express〔x1〕, as well as an optional eMMC interface for additional I/O expansion. 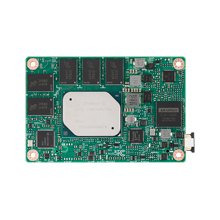 Freescale® i.MX6 Dual lite/Quad ARM Cortex A9 Processor.